I was reflecting tonight in preparation for our upcoming trip to Costa Rica about how much our travel lives have changed since our kiddos have joined our travel addiction. 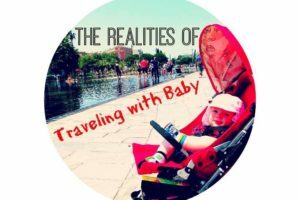 Getting ready for traveling with a toddler (or two!) is a whole different animal than when it was just the two of us! 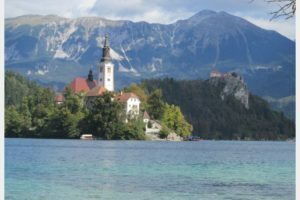 If you enjoy reading this, here are some other posts to check out about the trials of traveling with toddlers to check out! 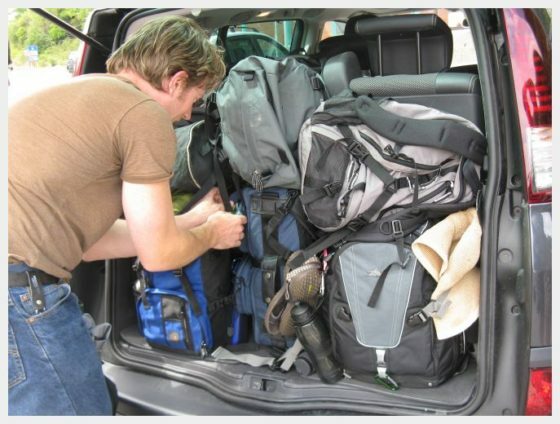 Man, back in the old days…I used to throw all of our stuff into our bags late the night before a trip. Plans were still up in the air…loose ends were still hanging out all over the place. It could all get sorted out later, right? No worries about staying up all night packing. We could just sleep when we got on the plane! 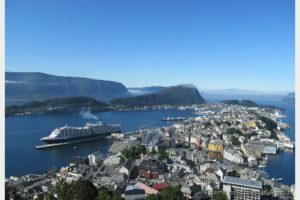 Now, I get seriously freaked out about getting ready to travel – particularly about packing. I have bad dreams about what we might forget to pack. If I haven’t started the packing process a month ahead of time, I feel like I am FAILING! As a side note, I think I just achieved a personal best tonight…we are all packed and most of the little details are sorted MORE THAN 24 hours before we leave! YIPPEE (it takes so very little to make me giddy now). Catching up on sleep while traveling with little ones is a thing of the past! This habit is ok to lose – it was a bad habit to get into to begin with. Now, staying up all night to pack is almost guaranteed to cause a stressful beginning to the trip. Worse, it is a sure recipe to get one of us sick. There is NO time to catch up on missing sleep when traveling with kiddos. It is so much better to start fresh with a good night of sleep. When I finally gather the mountain of clothes, diapers and other little things that we didn’t need to carry with before traveling with a toddler, it fills up multiple bags. There is no such thing as flitting off with one small backpack…even for an overnight trip. When we add in the car seats and put it all together, we have A LOT of stuff. Husband then puts on his engineer hat to figure out how to fit into the trunk of our little car. Husband trying to stuff all of our stuff into the vehicle! When we arrive at the airport this mountain then takes a gargantuan effort from all family members (little people included) to convey from the car into the ticket lobby. We make it like a game to get through the unending maze of ropes that is the baggage drop line. Bonus points if I remember to print out our boarding passes ahead of time saving us a stop at the kiosk! I let out a little inner cheer when I see that we are checking in at an airport that offers curbside check in. If you have the opportunity to do this when you check in, you will cheer too! We miss getting to the airport early and stopping for fancy coffee and breakfast on the way to the gate…now when traversing an airport with toddlers, if we get to the gate and have a chance to fill up our water bottles and go potty before getting on the plane, I consider it a WIN! When you arrive with crabby, tired kids you need to know EXACTLY where you are going and what the shortest way is to get there. 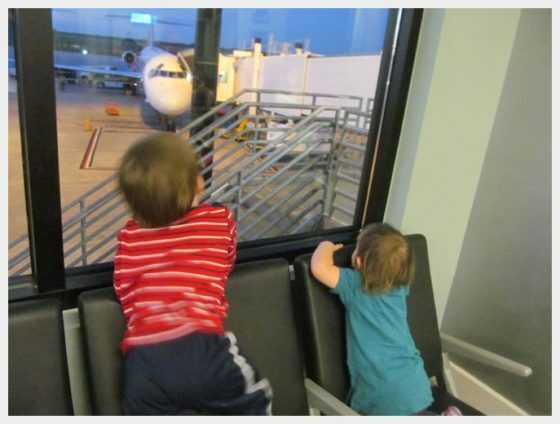 This is because if you are anything like us when on an airplane with kids, both parents are frazzled by now. The hotel room is usually the first time the entire day that you can confine them to one room. Turst me, the relief of this moment is more than I can describe in words. Generally, what happens once we get to the hotel is that I barricade the door with my body to keep them from escaping and dad goes to find a bottle of wine! 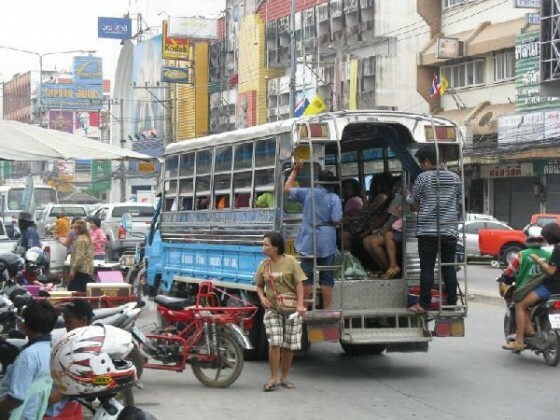 This brings up another change – saving money by taking public transportation. Did you see me mention the mountain of stuff above? Saving money by trying to take the bus when you are toting a mountain of stuff is just a recipe for disaster. Trust me. This is not the place to cut your budget. The splurge for a private shuttle (or at the very least an UBER XL) yields HUGE benefits here. These come in the form of a smooth start to your trip when you are tired from a long flight. Seeing a driver waiting for you in baggage claim with a sign with your name on it (and an extra set of hands) – PRICELESS. Getting to and from the airport on public transportation when traveling with a toddler is not very practical when you have so much luggage! Huh? I Used to do WHAT on the airplane? 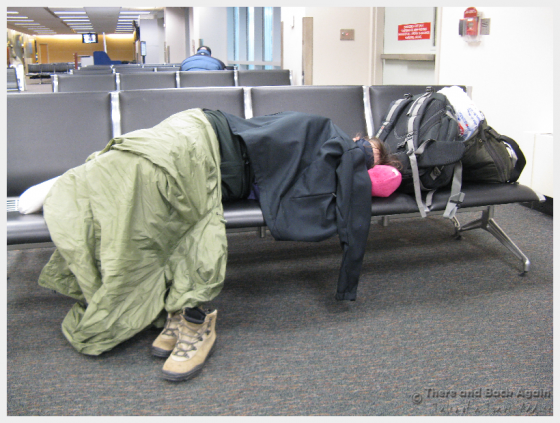 And that part about sleeping when we get on the plane? Hate to break it to you, but once you have kids, this becomes a thing of the past. This is particularly true when traveling with two toddlers. When traveling with two toddlers on a plane, they RARELY both sleep on the plane at the same time. If they do, one of them is probably on my lap in a position that makes it uncomfortable for me to sleep. Another thing to note – most airplanes seating configurations are not set up to accommodate groups of 4 very well. Seating on many average sized planes is 3 and 3 (in the picture above, were were only all still seated together because we were still flying with an infant). What this means is that inevitably, one parent gets the joy of BOTH kiddos. 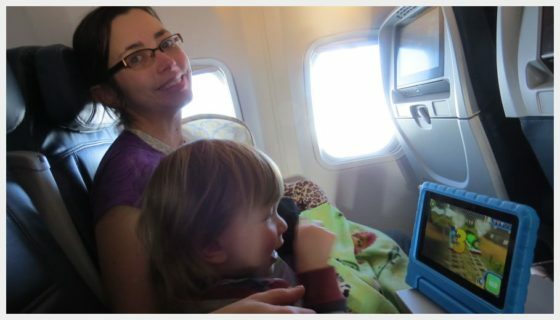 In our family, the duty of keeping kids busy on the airplane falls to Mom. This is not by means of dad shirking his responsibility, but by popular demand of the little minions. 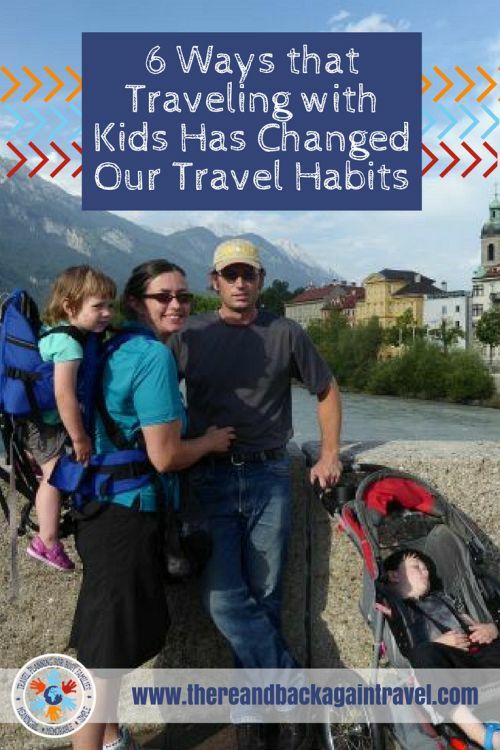 What parts of your getting ready to travel rituals have changed since started traveling with toddlers?